The retired general is a contender to be defense secretary. President-elect Donald Trump announced Thursday night that he will "appoint" retired Marine Gen. James "Mad Dog" Mattis to be his secretary of defense. "We are going to appoint 'Mad Dog' Mattis as our Secretary of Defense," Trump said at a rally in Cincinnati, Ohio. "But we're not announcing it till Monday so don't tell anybody. Mad dog. He's great. He is great." Under the Appointments Clause of the U.S. Constitution, certain federal positions appointed by the president -- including secretary of defense -– require confirmation of the U.S. Senate. Mattis retired from the Marine Corps in 2013 after a 41-year career in which he led troops in Kuwait during the Persian Gulf War, in Afghanistan during the initial U.S. wave in 2001 and in Iraq during the 2003 invasion. He capped his career as the head of U.S. Central Command, where he was in charge of all American forces serving in the Middle East and oversaw the wars in Iraq and Afghanistan. He earned his nicknames Mad Dog and the Warrior Monk for his attention to military tactics and strategy. He is known for his candor and blunt talk, which have at times gotten him into hot water. Party: Mattis is registered to vote in Washington state, which does not require political affiliations be disclosed. In April he declined an offer from conservatives to run as an independent as an alternative to Trump and Hillary Clinton. What he does now: Mattis is the Davies family distinguished visiting fellow at the Hoover Institution at Stanford University in California. In addition to writing a book on leadership, he studies national security issues, the use of military and the Middle East. 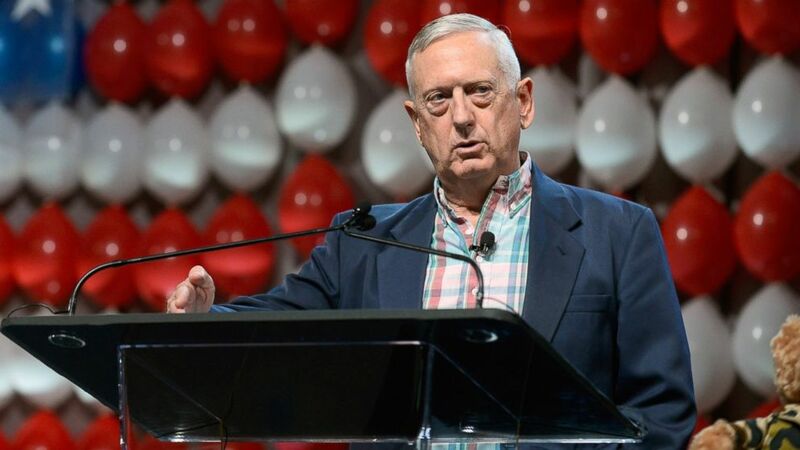 (Bryan Steffy/Getty Images) Retired Marine Corps Gen. James Mattis speaks during the DIRECTV and Operation Gratitude day of service at Caesars Palace, July 23, 2015 in Las Vegas. In 2003, Mattis was the commander of the 1st Marine Division, which pushed into Iraq as part of the initial invasion force. In a letter to his 20,000 Marines, he encouraged them to “demonstrate to the world there is ‘No better friend, no worse enemy’ than a U.S. Marine,” quoting the division’s motto. He returned to Iraq in 2004 to lead the fight against insurgents in Anbar province, in particular, two key battles in Fallujah. In all his combat tours, he was known for visiting his Marines on the front lines. As a lieutenant colonel during the Persian Gulf War in February 1991, Mattis commanded the 1st Battalion, 7th Marine Regiment, one of the units that pushed into Kuwait to liberate it from Iraqi troops. 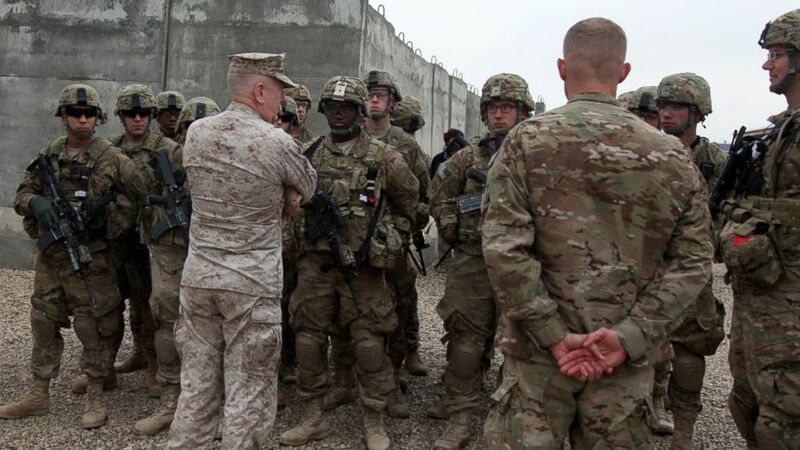 (U.S. Department of Defense) United States Central Command Commander, Gen. James N. Mattis, speaks with paratroopers assigned to Task Force 1 Panther, before they prepare to depart for a mission, Camp Jordania, Afghanistan, Dec. 27, 2011. Mattis is known for a singular focus on military history, tactics and strategy, traits that, along with his unmarried status, led to his Warrior Monk nickname. He is said to have a personal library of 7,000 books and during deployments often took with him “Meditations of Marcus Aurelius,” quotes from the Roman emperor and stoic philosopher. His Mad Dog nickname appears to be a reference to his combative nature on and off the battlefield. When he was the head of Marine Corps Combat Development Command, Mattis co-wrote the counterinsurgency manual with his Army counterpart, Gen. David Petraeus. That manual became the guide for how the U.S. military operated in Iraq to successfully combat the Sunni insurgency.